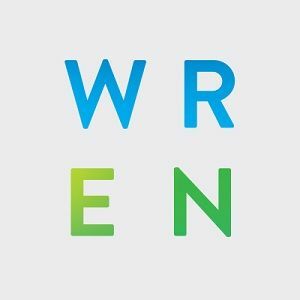 WREN Apartments - Apartments, apartment buildings, apartment communities. Apartments, apartment buildings, apartment communities. Address 1230 S. Olive St.
WREN Apartments is a Brand New Luxury Apartment Community near South Park, Los Angeles. Contact us Now to learn about Preleasing Today! 1# Apt rental homes in LA. Where you don’t have to explain what you want. Because we already thought of it. We’ve thought just as much about the what, as we have about the who and the why. Our residences are designed to be balanced and organized to maximize space and storage, without sacrificing beauty, quality materials or inspired touches. Natural wood tones, evocative of aged oak, paired with white walls and subway tile backsplash, quartz counters, and muted gray-brown accents, offer a warm modern canvas for residents. We believe that the most inviting spaces embody a warm and welcoming modern aesthetic. For WREN, we’ve carved out a distinctly South Park point of view, blending clean lines, a neutral palette, integrated plant life and a mix of materials and fabrics to convey style. Creating a serene and harmonious environment that was both urban and sophisticated – was our mission. or call 213 765 9936 to find out about our available floorplans. Create a custom e-brochure with your select floorplans. Welcome home to The Fifty Five Fifty, Hollywood’s finest luxury apartment community with iconic views and premium amenities. Welcome home to PRISMA, Santa Ana’s brand new modern apartment community designed just for you and your lifestyle. Schedule your tour today! Life is waiting. Find your new home.